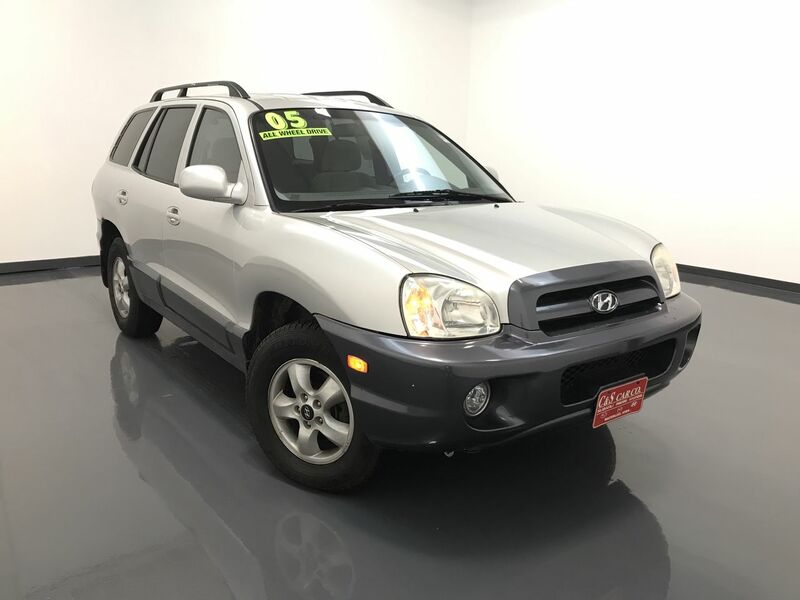 The Hyundai Santa Fe for 2005 offers a unique balance of interior volume (101 cubic feet), amenities, ride and performance in a practical size. With the split rear seat the possibilities for hauling your cargo are nearly endless. This SANA FE GLS has keyless entry, a rear cargo mat, an aftermarket JVC AM/FM/CD sound system with Pandora compatibility, 16" alloy wheels with Goodyear tires, and a 2" receiver hitch. Call C & S Hyundai toll free at 866-212-8718 or locally at 319-291-7321.